The Performing Animals (Regulation) Act 1925 requires that all persons who work with, train, supply, present, exhibit or show animals which are used in any genre of entertainment, or therapy, must register with their local authorities. The act does not apply to the training of animals for legitimate military, police, agricultural or sporting purposes or the exhibition of these animals in demonstration or similar events. The Act does not permit a local authority to consider animal welfare matters and therefore a Registration under the Act does not confirm animal welfare standards to be satisfactory. 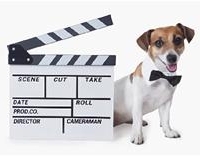 Dog actorAnyone wishing to apply must first complete the performing animals application form [218kb] and return it with the appropriate fee [80kb] to the postal address given. Upon application for registration, the premises will be inspected by a local authority officer along with a vet if required. A report following inspection shall be considered by the local authority before determining whether or not to approve registration. Registration under The Performing Animals (Regulation) Act 1925 is not renewable and the registered person can keep that registration for life, unless their registration is suspended or cancelled by a court of law. Under this Act local councils authorities must keep a register of persons involved in working with animals in performances. Under this Act, the police and officers of local authorities, who may include a vet, have power to enter premises where animals are being trained and exhibited. If cruelty and neglect is detected, courts can prohibit or restrict the training or exhibition of the animals and suspend or cancel the registration granted under the Act. West Lothian Council must be notified of any change in circumstances, this may result in a new application for registration being required. Any person registered under the Act must only train or exhibit those animals declared on the registration and in the manner declared on the registration. Any training or performance must be carried out without cruelty to any animal. Registration may not be issued if the applicant is disqualified under the Performing Animals Act 1925.